By: Deepak Chopra M.D., Rudolph E. Tanzi Ph.D. Best-selling author Deepak Chopra brings the Buddha back to life in this gripping account of the young prince who abandoned his inheritance to discover his true calling. This iconic journey changed the world forever, and the truths revealed continue to influence every corner of the globe today. 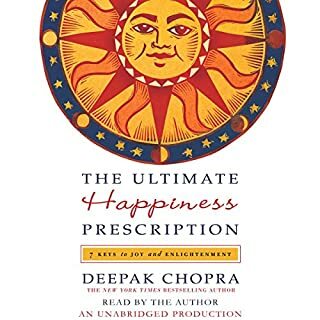 Renowned author, speaker and spiritual teacher DEEPAK CHOPRA offers us a powerful approach to possessing happiness in his groundbreaking work, The Happiness Prescription. Dr. Chopra offers us a life-changing prescription for how to live more joyfully and with greater AWARENESS of all things. Meet the one power that can make all the difference in your life! Hailed as the "pioneer in the medicine of the future", Dr. Deepak Chopra has bridged the gap between the modern medicine of the West and the wisdom of the East, applying the traditions of ancient healing to the present-day challenges that we all face. 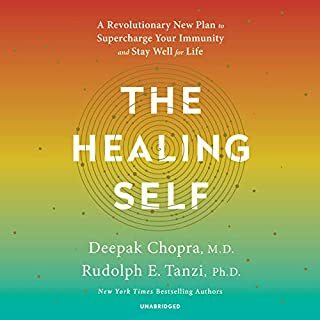 In this rare collection of live and studio works, Dr. Chopra will take you on a journey of invaluable healing and self-discovery. 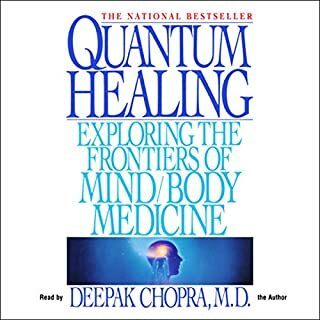 Integrating the power of the mind, body and spirit, Dr. Chopra has an exceptional gift of articulating the extraordinary mysteries of healing, in a manner that is both logical and understandable. Each volume of this comprehensive library offers you the best of what Dr. Chopra has to offer on topics such as the five sensory healing techniques; the three body types and how each can gain greater health and vitality; the transforming power of following your spiritual purpose; the role of karma in healing; Ayurveda techniques on how to cure life-threatening diseases such as cancer, diabetes, and heart disease; uncovering your soul's true nature; and awakening your body's own personal pharmacy through powerful meditations and practical exercises. As you listen, you will discover how finding balance through the integration of mind, body, and spirit can not only create greater health in your life, but can also reverse the aging process. Deepak Chopra, M.D., is an internationally acclaimed speaker, author, and expert in the area of holistic healing. His writings on how people can change their lives using the mind-body connection have been translated into 22 languages and have inspired thousands the world over. He is recognized internationally for his breadth of experiential wisdom and knowledge, and he is the author of many best-selling Nightingale-Conant programs. 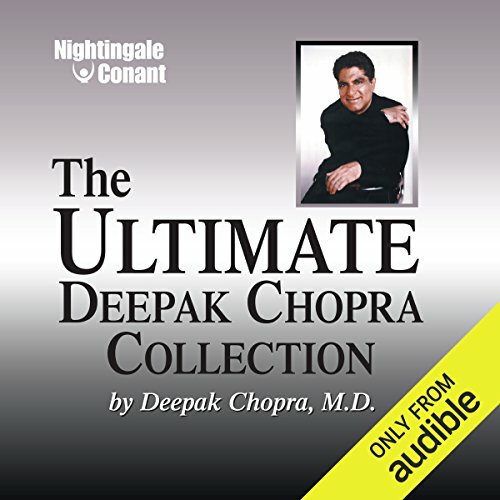 Would you consider the audio edition of The Ultimate Deepak Chopra Collection to be better than the print version? Have you listened to any of Deepak Chopra’s other performances before? How does this one compare? Fantastic selection of topics and interesting discussions from the huge catalog of his work. I only wish there was a table of contents somewhere that told me what works I'm listening to. Some are easy to figure out (such as Synchro Destiny) but there were many times I loved what I was hearing but had no idea which of his many audio books and courses the selection was from. Great value- 1 credit for 20 hours worth of great content is a wonderful deal! It’s always great to hear Deepak: his humor, his wit, and his thoughtfulness. My issue here is with the curation of the collection. It seems disjointed and random, placing one cut from a speaking engagement next to another. I’m not sure it flows well. I think I would have done better with a book or talk on one concept instead of the quantity purchase here. Add chapters and an index so we can tell what topic is next. Break at the end of the talks, not randomly in the middle - some are not complete. 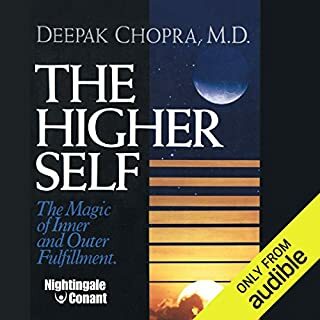 If you’ve listened to books by Deepak Chopra before, how does this one compare? This has no continuity or plan. It's just a random collection of live talks. I find Chopra compelling but this seemed to have no focus. I'm sorry I spent the money on it. talks I hadn't heard before. Very enjoyable, highly recommended. If you've never listened to Deepak Chopra speaking his own material before, it takes some getting used to. After listening to it you will feel like you have everthing you need to have a blissful, full of joy and a complete life. If you are in doubt, don't be. It will really makes you feel good! What did you love best about The Ultimate Deepak Chopra Collection? What was one of the most memorable moments of The Ultimate Deepak Chopra Collection? Not any particular. I enjoyed the whole collection, it is all connected. The body types was very well explained. This collection is my go to whenever I need to get back in touch with nature and life. 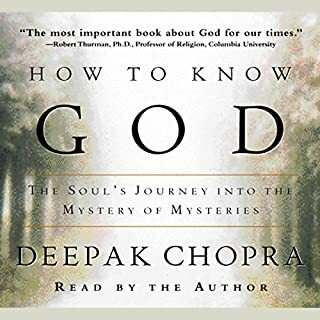 Deepak Chopra explains everything in this book in detail. Such an excellent book! This entire book is memorable. I listened to this in audio twice. I know I will listen again. His meditations are beautiful. This man is a true teacher. Which character – as performed by Deepak Chopra – was your favorite? Meditation of course. If you always think you are doing it wrong you will find out you are not. You will find out why you are doing it right. Deepak Chopra explains everything so well that each chapter is an Ah Ha moment. 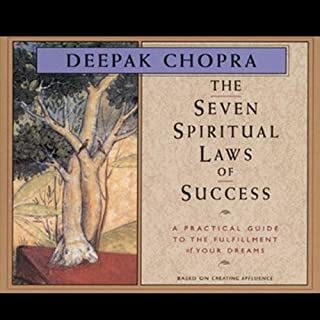 Would you try another book from Deepak Chopra and/or Deepak Chopra? ...but it's just not coming to me with clarity. I really thought I'd get a clear sense of things from Deepak having read a few of his other books but this just seemed like a stream of words but not clear thoughts. I found myself having to replay sections over and over...and still wasn't able to get the clarity of message. I've read and watch many interviews and online presentations by Deepak and found that the editing seemed necessary to make the content of greater value. This was a 3/5 for sure in comparison. Game changer! Intensely educational from 6000 years ago to now. Brilliant, engaging and such a gift of knowledge. I’m half way through my second time listening and expect I will revisit again and again. Tip: write down the chapter numbers that resonate for you and/or speak to a method of healing that you could implement and practice. Thank you Deepak for sharing this wealth of information for body, mind and spirit. Great overview of chopras books especially the best selling ones like Ageless Body and Synchodestiny. There's a bit of repetition in it so it needs a bit more editing but good overall. Whomever you are, and whatever your views on spirituality or alternative medicine, Chopra gives a beautifully compelling and thought provoking incite into an holistic approach towards wellbeing on a mental and physical level, that will leave you entertained, and informed and better than you were before. The ayervedic way certainly helps me, and this volume is rich in content and easy on the ear. Highly recommended. it's fasinating to learn about the other dimension or angle in to things. There is a solution to everything within you..this books teaches this how to revoke this.. I have to admit Deepak is the best thing since sliced bread, wow! I can't wait to listen to it all over again! The guided meditations were awe inspiring and he is so easy to undrdtand. Life and the meaning of it suddenly makes perfect sense. Some fantastic meditations and information, covering all aspects of life. Although maybe not apparent the exercises can be adapted easily. It is an interesting listen until half way through when the earlier chapters are repeated! Slightly disappointing. excellent content but some chapters are repeated- seemingly a mistake by whoever collated this audiobook. Complete and concise. Yes some sections are repeated but its a such a big series to listen to its almost welcome. Very enjoyable and great introduction to several subjects. This audio is an excellent source of information and really well read my only criticism would be that it is slightly repetative in parts but the advice given is definately somrthing I will refer again and again. Excellent, I felt I was part of the conference. I have studied science, holistic and spiritual practices extensively, and found this book very informative. However for those without the same background knowledge it could be challenging. Didn't find this series of talks as motivating or as interesting as I was expecting. I found Deepaks delivery through the first half too quick and his accent too heavy at times (therefore not gripping the whole talk) and having to re listen continually to make sense of it all. Probably a better read than listen. Having listened to other philosophers/gouroos (Watts/Tolle) I was left wanting more from Chopra. I loved it. inspiring and Deepak captures your mind in his wisdom and I found many useful tips to apply to everyday health and mindset moving forward. it is perhaps the most enlightened and inspiring author i have listened in my life.